Today is going to be one of the longer days. Woke up at 6am and the plan for the day was to gain some good elevation to try and acclimatize some. After waking up we packed our bags and got ready for breakfast. 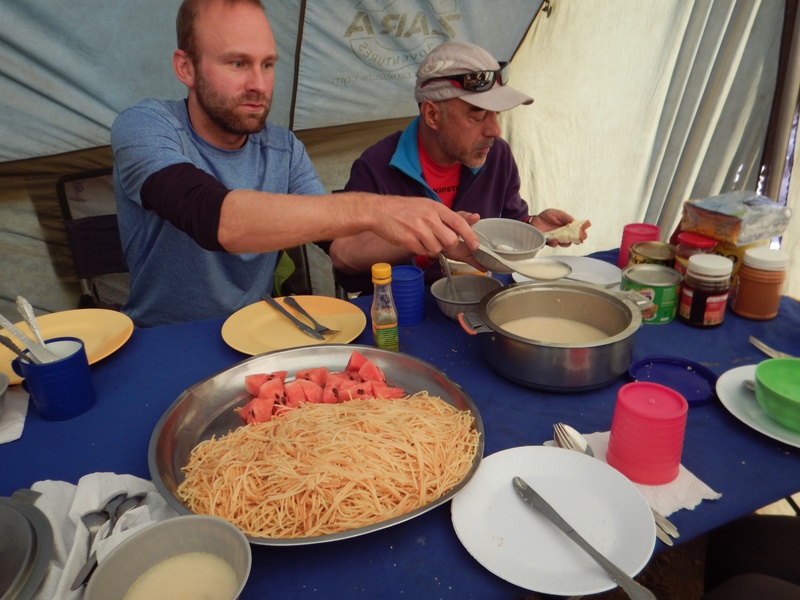 Considering we were hiking for 7 days I did not expect a whole lot out of food but day after day the food was excellent and never failed to disappoint. 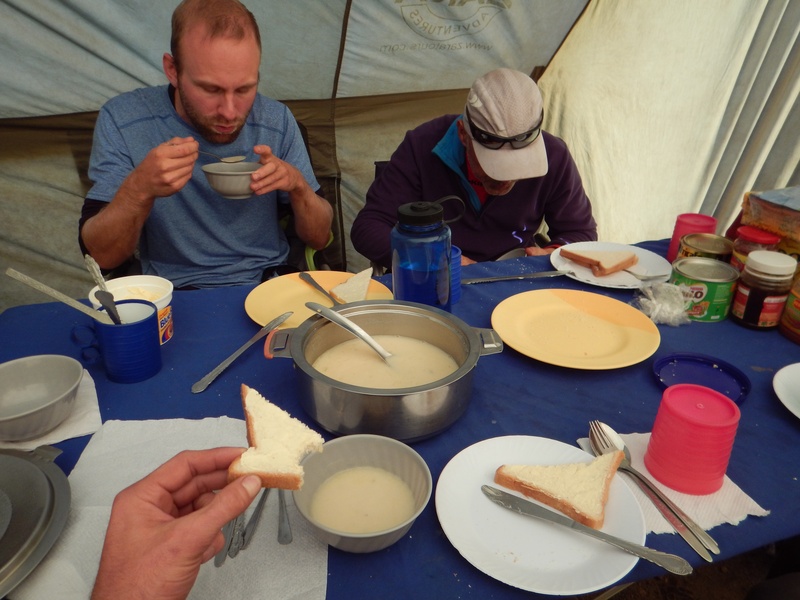 For breakfast each morning we would have nice hot porridge to start us off and warm us up a little. After that the chef would bring in some toast and the morning breakfast which ranged from eggs to sausages and always had some fruit. 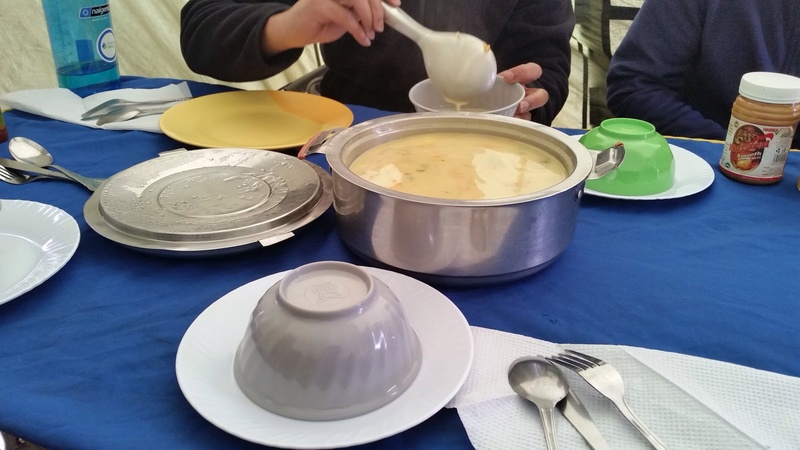 Lunch was usually a packed lunch which wasn’t anything to write home about but it was food. It usually consisted of a cold piece of chicken, fruit, muffin, juice, and peanuts. 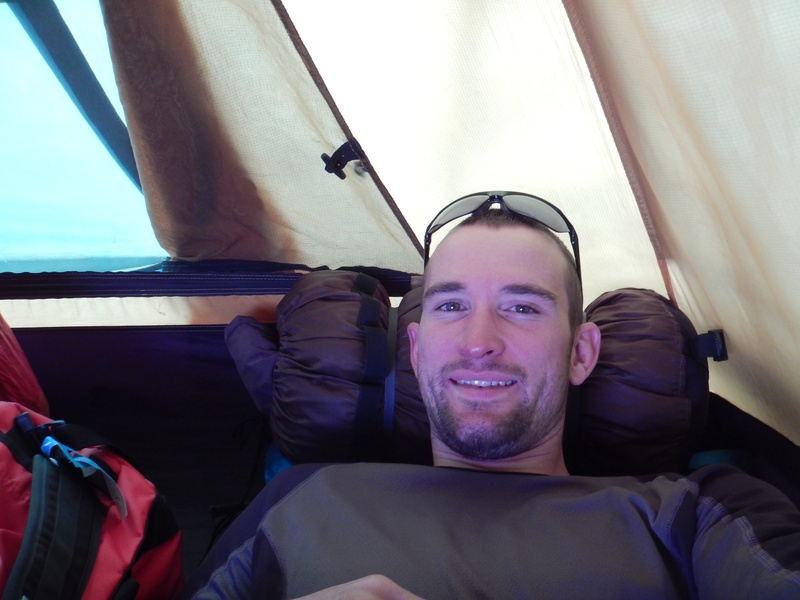 Most days after the hike we would get to camp and there was popcorn and tea to hold us over until dinner was ready. For dinner there was always some type of soup that was always warm and had some vegetables in it. This was something we could always count on for being quite tasty. 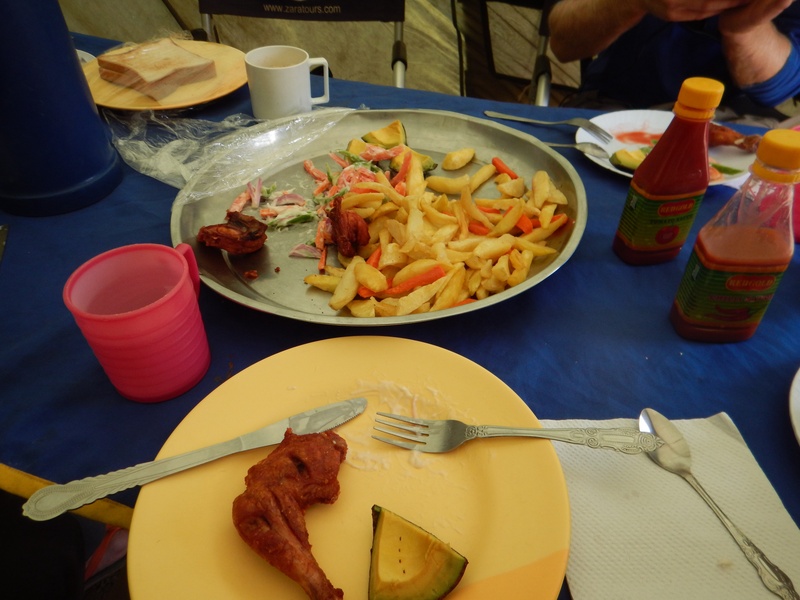 Some of the different dinners we had were pasta, chicken, various rice and meat dishes, and chips (french fries) to go along. There was also fruit at dinner and dessert was a slice of fresh avocado which was yummy. The food never got old throughout the hike and there was always plenty to go around so we didn’t have to worry about going hungry! Day 3 hike started at 8am and it was a 6 1/2 hour total hike including lunch. 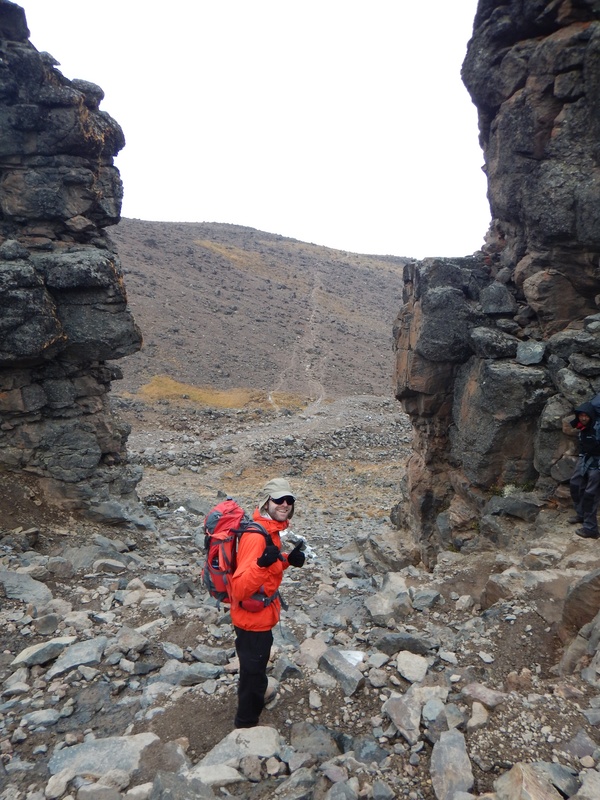 Leaving camp at 3680m (12,667ft) we would hike the four hours to Lava Tower which sat at 4582m (15,033ft). 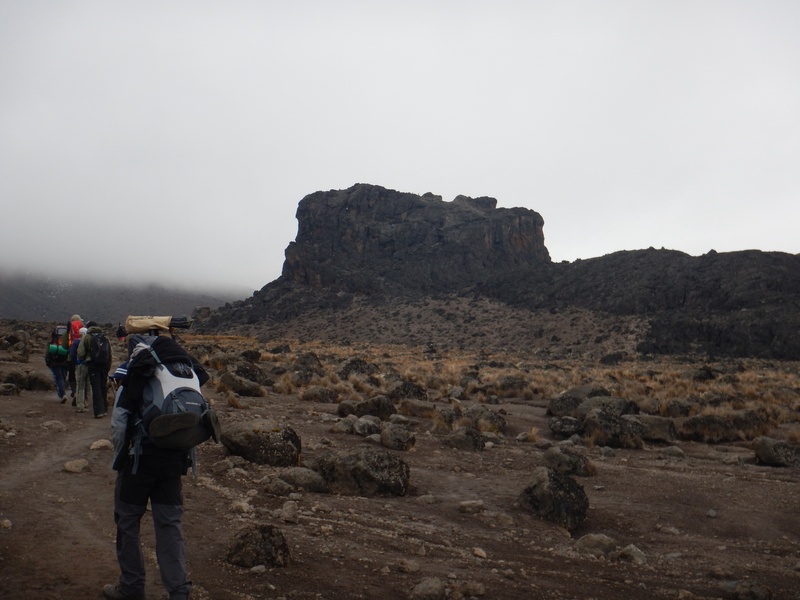 Gaining this much elevation and altitude over 7km (4mi) was a little tough and we hiked polepole (slowly) to help with any altitude sickness we might experience. Arriving at Lava Tower 4 hours later we sat and enjoyed our packed lunch. None of us were really affected by the altitude much. 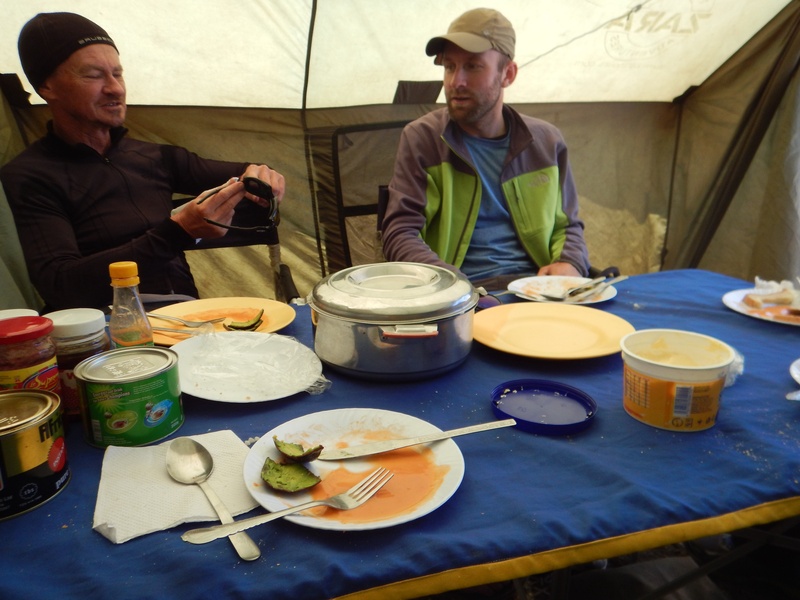 Both Lasse and I were thinking we would feel some kind of symptom like slight headache or lack of appetite but no we were good to go and ready to eat as always. With being higher up in elevation it was quite cold and we made sure to layer up as soon as we stopped hiking to make sure we stayed warm. Since this was the highest elevation we would be in until we made the journey to base camp in two days, we spent a good hour hanging out to help our bodies acclimatize. Now here is the fun part we get to walk back down the mountain. Not only do we walk down, we walk down to almost the same elevation we started at this morning. 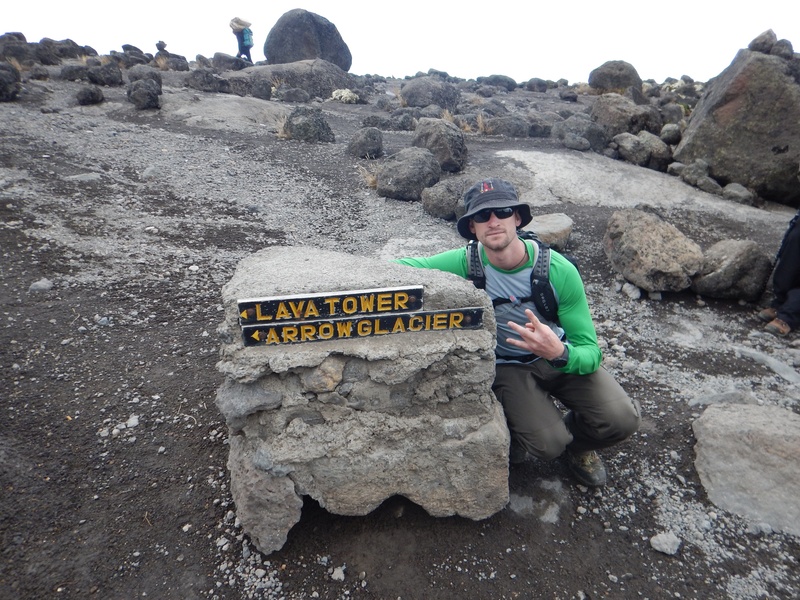 Barranco camp sits at 3970m (13,025ft) only 290m (950ft) higher than when we started this 6 1/2 hour journey!! 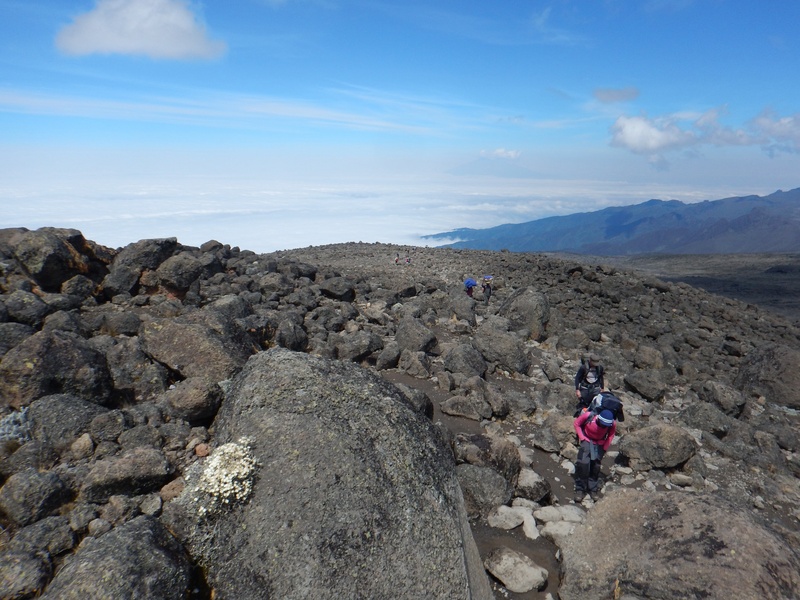 The descent from Lava Tower lasted about a hour and a half and covered 3km (1.5mi). Upon arriving to camp everything was all set up and we threw our stuff in the tents and had some time to relax before dinner. Another great day of hiking down and almost half way through this great trip and journey! !